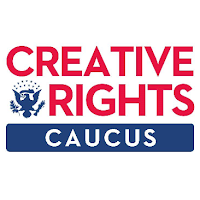 CreativeFuture, in conjunction with Creative Rights Caucus, will host “Meet the Producers” on Tuesday, March 15 on Capitol Hill in Washington, D.C. The panel will be introduced by Creative Rights Caucus Co-Chairs Rep. Judy Chu and Rep. Doug Collins and moderated by CreativeFuture CEO Ruth Vitale. The “Meet the Producers” event will explore what it really means to be a “producer,” focusing attention on the process of how movies and television shows actually get made. The panel features some of Hollywood’s most successful film and television producers, offering an exclusive behind-the-scenes perspective that spans hundreds of film and television projects that have won (or been nominated for) multiple Academy Awards and Emmys. Jason Blum. His production company Blumhouse Productions has produced the highly profitable Paranormal Activity, The Purge, Insidious, and Ouija franchises, which have grossed more than $1.4 billion worldwide. He received a Best Picture nomination for Whiplash and has won Emmys as producer of The Normal Heart and The Jinx on HBO. Martha De Laurentiis, who formed the Dino De Laurentiis Company in 1980, has overseen the production of over 40 films, series, and mini-series, including, most recently, Hannibal for NBC, Barbarella for Amazon Studios, and the forthcoming series Gateway. Franklin Leonard. Franklin is the host of the Black List Table Reads podcast (an iTunes Best of 2015 pick) and the founder of the Black List, the yearly publication highlighting Hollywood’s most popular unproduced screenplays. Over 300 Black List scripts have been produced as feature films, earning an astounding 260 Academy Award nominations and 45 wins, including three of the last seven Best Pictures and eight of the last sixteen screenwriting Oscars. Christine Vachon, co-founder of Killer Films with partner Pamela Koffler, is an Independent Spirit Award and Gotham Award winner. Over the past decade and a half, she has produced Carol (nominated for six Academy Awards), Still Alice (Academy Award winner), Far from Heaven (nominated for four Academy Awards), and Boys Don’t Cry (Academy Award winner). For television, Vachon recently executive-produced the Emmy and Golden Globe winning mini-series Mildred Pierce for HBO and is working on a series based on the life of Zelda Fitzgerald for Amazon Studios. Christine is also the director of the MFA program at Stony Brook University. A panel with such depth of experience - and working knowledge of the film and television industries - rarely convenes outside of Hollywood and film festivals. CreativeFuture, along with the Creative Rights Caucus, will bring this esteemed group of producers to Capitol Hill in their ongoing effort to give voice to the creatives that work behind-the-scenes to bring audiences the movies and shows they admire most. 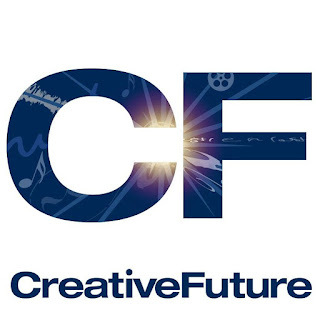 CreativeFuture is a coalition of 450 companies and organizations and thousands of creative individuals encompassing film, television, music, and book publishing. CreativeFuture promotes the value of creativity, expanded digital access to legitimate content, and the fundamental right of creatives to determine how their works are distributed. For more information, visit: CreativeFuture.org.